So now you have a personalized URL, and you’re on your way to a Rockstar Profile. Today, in Tip Two, we’re going to talk about your LinkedIn headline. Your LinkedIn headline is searchable by Google. When someone “Googles” your name, your LinkedIn profile comes up HIGH in the results list! What will appear is your headline, so it’s important to take advantage of that. You want people to click on you when they search for something and you come up, right? Take a look at this video for some tips on what to do with that headline. Did you miss tip #1? You can find that here. I received your tweet today and clicked on to your link offering a quick analysis of my LinkedIn page. I tried to connect, but it wanted your email address, which I don’t know. My partner and I are just starting M & M Social Media Solutions and we would appreciate any fedback you could give. My partner’s name is Miles McCarthy, if you could give his page a quick analysis too please. Thank you very much for your kind offer. It is much appreciated! Great start Michael! I would first check back to tip one (https://karenyankovich.com/top-linkedin-tips-for-2013-tip-number-one/) and change your URL. If you give your headline some more depth, using very targeted keywords, I think you’ll be really standing out! Ask Miles to connect with me so I know it’s really him and I’m not offering random LinkedIn tips to strangers. 🙂 Or post a link to his profile here. Great site! I am guilty of ignoring my LinkedIn account and have definitely favored it’s social media cousins. 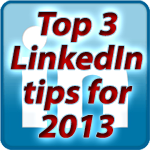 I’ve implemented your first two tips at: http://www.linkedin.com/in/lisamarieberes/ Please let me know what other suggestions you have off the top. Lisa just sent you a connection request. I can’t see your profile until you accept it. While I do have a LinkedIn profile, I confess that it tends to collect dust (fairy dust, I can only hope *wink*). It’s on my ‘one of these days’ list to update, know what I mean? I’m actually fairly active in other social media, but for some reason LI tends to get low priority, think I had this perception (misconception?) that LinkedIn was for brick and mortar biz and corporate types, of which I am neither. I appreciate your stellar info, THX! Ah NO, LinkedIn is actually perfect if you don’t have a brick and mortar business. Since you don’t have anything physical to show off your amazing business, sites like LinkedIn are all the more important. Let me know if I can help you with your profile! Kelly – I’m like a LinkedIn Evangelist these days! LinkedIn is ALWAYS beneficial for you and your business, and it’s free. Email me if you want to talk about it, [email protected]. 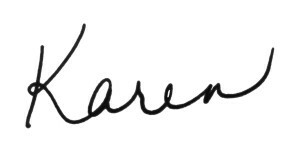 Excellent tips, Karen. I went in and powered up my headline. I’m now searchable for my tai chi classes for employers. 🙂 Next up: Updating my profile to match. When is tip #3 coming out??? ?